This is the 5th of six reviews I’m doing for FPN member Alecgold. 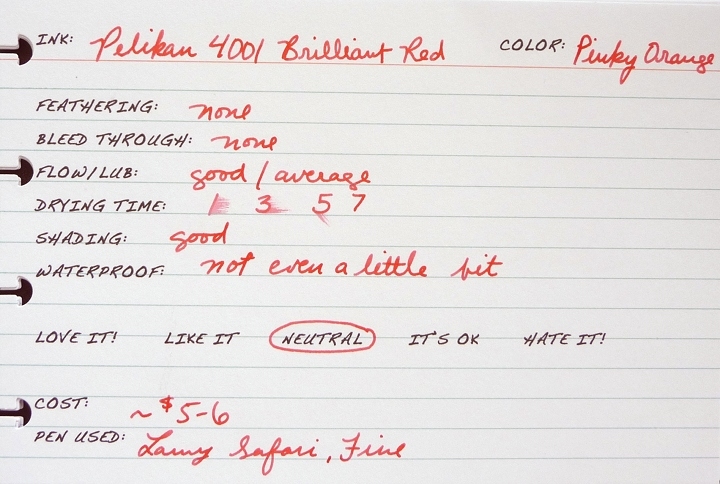 Up today is Pelikan Brilliant Red. I really haven’t the slightest idea why they would call this color “red”. It’s a pink-orange not unlike Noodler’s Dragon’s Napalm, Diamine Vermillion, or Diamine Coral. I will say that the “brilliant” portion of the name is quite fitting. This ink definitely jumps off the page at you. 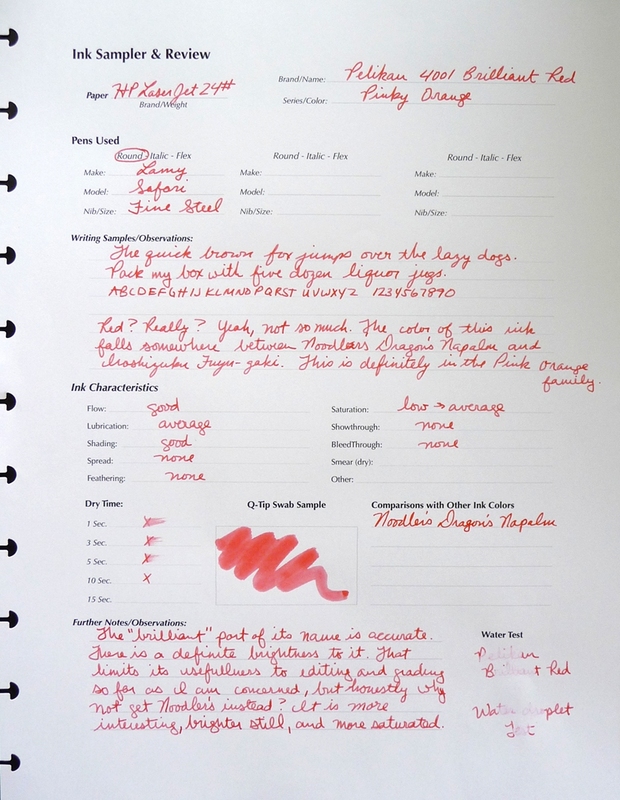 As such, it would make a great editing ink, but honestly, I’d rather have Noodler’s Dragon’s Napalm. It is bolder and brighter still. Disappears at the mere thought of water. This color is near impossible to get right. The scans were completely useless, so I went for a photo instead. The photos are better, but they’re still not great. I did the best I could. Alec review 5/6. No affil.